The Wild Wing Plantation Avocet, a golf course in Myrtle Beach, was designed by SGCA president Jeff Brauer and three-time PGA Champion Larry Nelson. This modern course is centrally located off Highway 501. Why do so many golfers rave over Wild Wing Plantation? Wild Wing has been named “Golf Course of the Year” several times, always receives top reviews, and an overall rating of 8.3 among some of the area’s best golf courses. The impressive 27-hole golf course has a slope of 135 and consists of resurfaced Mini Verde Bermuda grass. The first hole sets the round’s tone. The moguls grass depressions and tall pines present golfers with unique challenges. The 14th hole is undoubtedly the signature hole. It’s a drivable par-4 and from the Black tees play 308 yards. With two contoured fairways, large putting surface, strategically placed bunkers, and grass hollows, golfers are provided with a variety of shot options. Need more persuading? Wild Wing Avocet Course is not lined by houses…so it’s just you and the ball. Wild Wing Plantation continues to be a popular South Carolina beach golf course. Along with exciting golf -- the course provides golfers with a classically designed clubhouse, practice area, chipping and putting green, and driving range. Golf lessons and club fitting are available upon request. It’s a complete Myrtle Beach golf resort and undoubtedly one to visit during your next Myrtle Beach golf trip! Reserve your tee time now. Money saving Myrtle Beach golf packages are available year-round. Golf packages include impressive Myrtle Beach golf deals, tee times, hotel and resort options, and Myrtle Beach golf specials at a variety of retail outlets. Enjoyed the layout. Not too difficult. Fairly priced. Best layout in the Myrtle Beach area. Well maintained and manicured. The maintenance staff do a fantastic job with this course. The Avocet Course is a must play. Peaceful and serene. The back nine is just beautiful. A joy to play. Brand new carts make the round even more enjoyable. Rick and his staff in the Pro shop are awesome. Great selection of apparel and souvenirs are always available. Beverage cart on the course is always a plus. Nice bar inside. Great place to relax inside or out. Settle all the wagers and enjoy an ice cold beer or your favorite beverage. Meghan is always fun to be around. I would give this course the highest rating of any course on the Grand Strand. Course was in great shape and a good value. Is the place to golf, that's hidden secret on the Grand Strand. Great staff great single T course and plenty of distance. 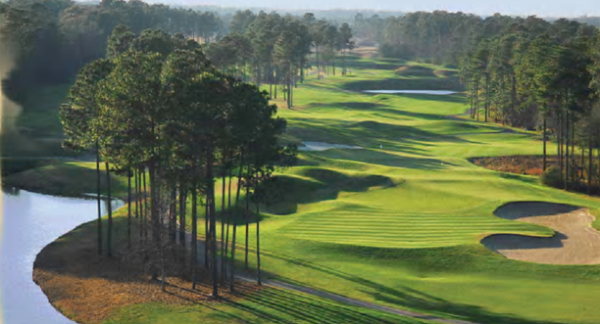 The Wild Wing Plantation Avocet, a golf course in Myrtle Beach, was designed by SGCA president Jeff Brauer and three-time PGA Champion Larry Nelson.